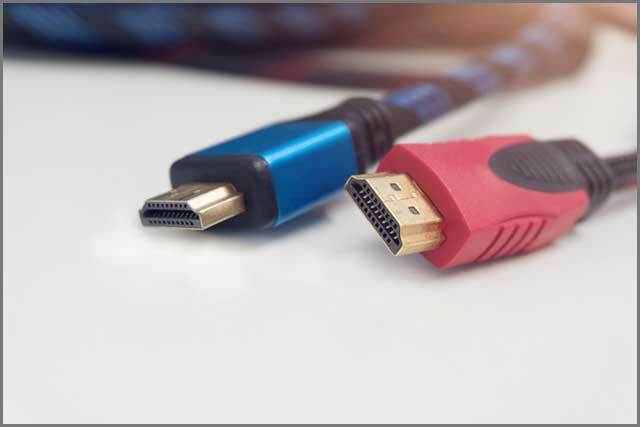 The AV cable is more common than you think – you need it to connect your gaming console, a set-top box to the TV, DVD, music system and more. The absolute number of AV cables can be confusing and which one is suitable for use. There are also different AV lines such as HDMI, Coax and DVI. Do you know which one is right for your application? In this guide, we will discuss all common sense about AV cables. We can also customise different types of AV cables for you so that you can expand your business opportunities. Chapter 1 – What is the AV Cable? An AV cable stands for Audio and Video cable. You can use it to connect different audiovisual equipment. AV cables can be of various types, based on the number of sound channels number of video channels and amount of control signals. 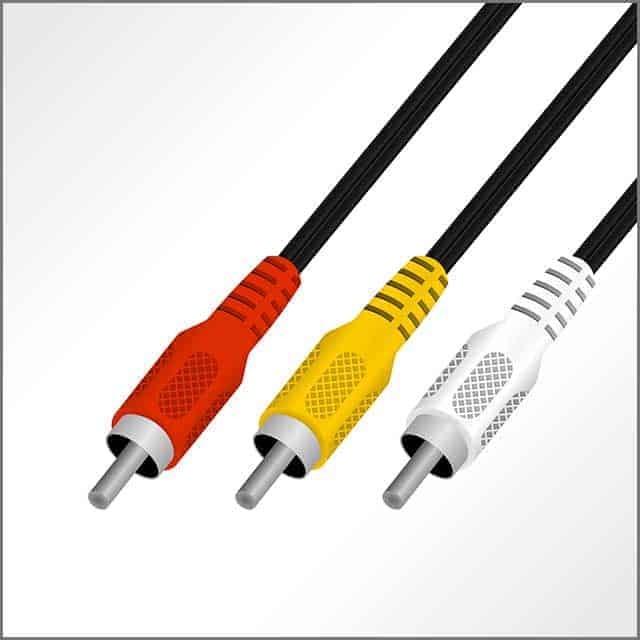 AV cables are used to connect display sources to output like TV. The display unit decodes the signal and transmits it within the AV cable to reach the TV connector. AV cables can carry both audio and sound cues and have separate connectors to be connected to the TV. Audio cables generally have two connectors for both ends for left and right channel sound. Without AV cables, all our VCRs, DVD, set-top boxes, and Blu-ray players will become useless. How Does AV Cable Work? Simply put, AV cables carry the video and audio signals from one device to another. 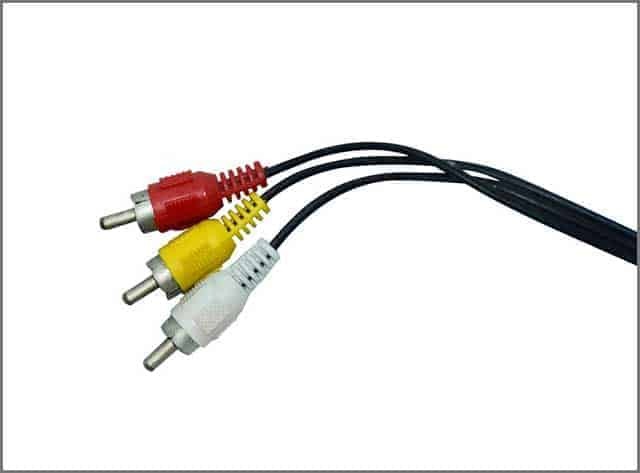 Most of you must have handled an AV cable while fixing the cable TV box or hooking your game console or DVD to TV. Its basically a wire is one end having a single jack that goes into your console, DVD or other display devices. The other end has three jacks which can be yellow, red and white. The yellow and red jack fit at the back of your TV or display each providing the left and right channel sound. The white jack fits in the white hole and delivers video signals. You will have no confusing setting up an AV cable as everything is color-coded for easy recognition. Audio cables are also part of Av cables though they don’t carry the video signals. AV cables are standard, and most of them are RCA, but now we have new and highly-capable wires carrying a considerable amount of bandwidths which is the prerequisite of 4K or 8K TVs. Now that you know what an AV cable is let’s discover the various types. The Radio Corporation of America or RCA cable is one of the earliest developed AV standards. Introduced in 1940, RCA finds applications in standard definition devices like gaming consoles, cable boxes, and DVD players. RCA is not suitable for HD signals, so they are less common nowadays. RCA connectors have a jack for left channel audio, another for right channel audio and a video jack. Composite video is a version of analog TV signal before modulation into RF signal. Older equipment like VCR use composite video format and then give the output in raw signal or mixed with RF for TV outputs. Composite signals are used in conjunction with RCA jacks. Composite cables can face a loss of signal as it modulates the RF with the original audio signal and then demodulates it again for the TV. You can also encounter noise or interference because RF broadcasts all video and radio signals simultaneously. Technology has made it possible to devise other cables which don’t suffer these disruptions. For this reason, composite cables are not used these days commonly. S-Video uses the technology of breaking video information in two separate signals to broadcast in a single cable. One of the messages are used for chrominance whole the luminance provides the brightness. When the signals reach the VT, it creates crisper images than composite video as the signal is not transmitted over one wire. Also, TVs are capable of using separate Chrominance and Luminance signals. S-Video formats can also be used for monitors which use RGB and even digital cameras, and game players use the same. So S-video formats look better than composite video formats. Your display source sending the signal must be compatible with S-video output. The TV or device returning the messages should have an S-video input jack. S-video cables can be used for over 200 feet with negligible signal loss. However, you won’t generally get them with standard TVs. Coaxial cables are primarily used in the cable industry as they can transmit both audio and video between devices. 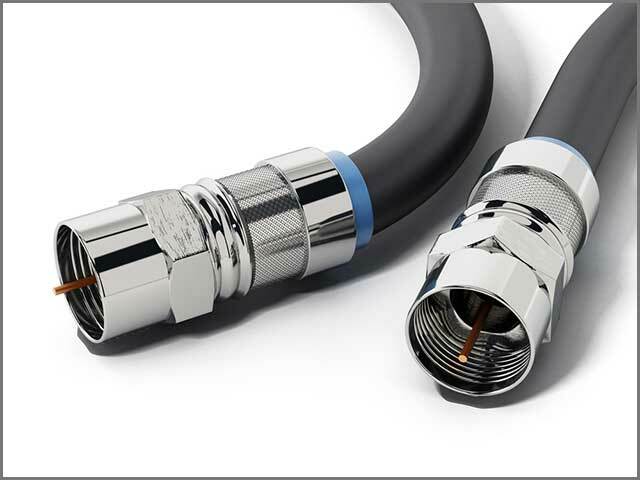 Coaxial cables are also known as RF cable and used to connect the cable box or digital box to the TV. You can use the same cable to hook up VCRs, though the quality will not be excellent. For TVs with only coaxial RF inputs, you may need to use an RF modulator or video switcher. DVI is a digital interface standard which can transform analog signals into digital ones to support both analog and digital monitors. The technology uses a single plug and connector which supports legacy VGA and digital-based plug connector. DVI can send the signals from conventional sources to high-end HDTVs, DVD players, plasma displays and others. You can get a pure digital picture experience as DVI is an authentic digital video connection. The digital-to-digital platforms offer optimum color saturation, leveraging the function of high-end DVD players and flat-panel LCD monitors. 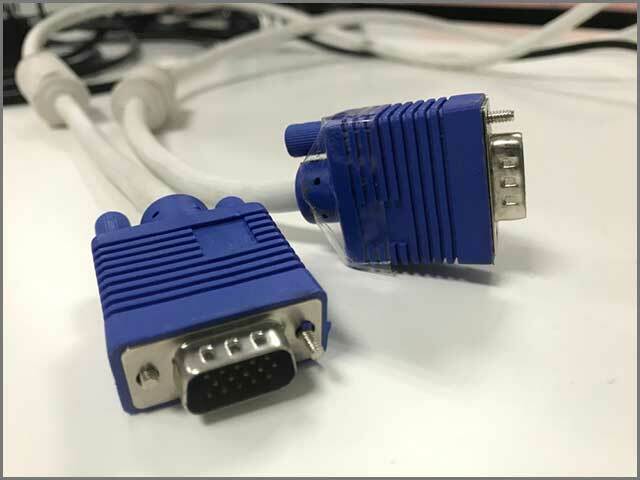 VGA cables can display both high and low resolutions in RGB formats. However, as technology is analog, don’t expect too spectacular results. VG ports were found in computers during the 1900s to 2010s so you may need a VGA cable in that case. HDMI is new gen of versatile connector found on monitors, TV, and even smartphones. In a single cable, you are getting the advantage of Digital Video (DVI) AND Multi-Channel Audio. DVI cables need you to connect the audio wires separately as it only transfers audio signals. For this reason, DVI cables are not generally more than 16 feet as longer lengths translate to a loss of quality. HDMI is the first standard to support both 720p and 1080p and standard video formats. HDMI also supports multi-sound audio and can run up to 40 feet without any loss of data transfer. HDMI also uses a remote control channel to send uncompressed digital and audio signals from a high-speed interface to display. The components can interact with each other over the single remote control channel so that they play at highest resolutions automatically. As HDMI, is backward-compatible, you don’t need to change your DVI components. HDMI is capable of sending 5 Gbps, which is double the need for HDTV. HDMI can quickly send a high-quality signal over a long distance at high speed without loss of data. High definition, high-resolution video, and audio are enjoyed best at full settings, and HDMI enables you to exploit the advantages. 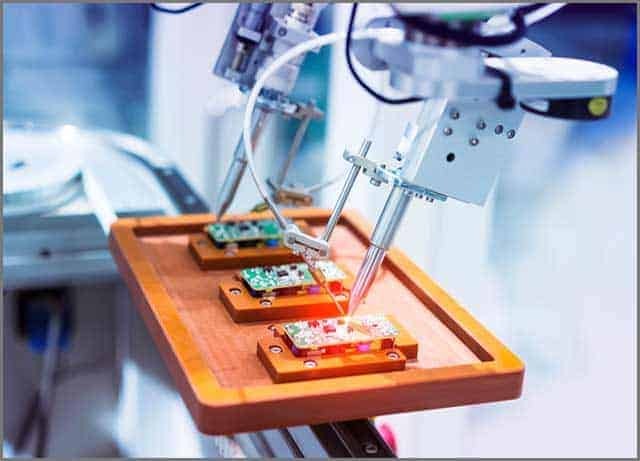 As a result, you get accurate, clear and sharp pictures which provide a more accurate representation of the content compared to analog signals or digital signals. HDMI uses only one cable, and you don’t run into a mess of wire. It is easy to manage, clutter-free and less costly. HDMI automatically identifies the format and plays videos and music at optimum permissible levels. 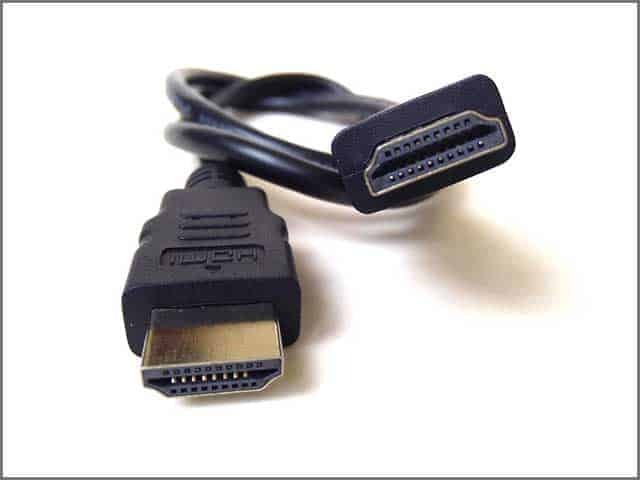 HDMI is backward-compatible so that you can use older setups like DVI-based systems and displays. HDMI has eight audio channels and works with all Surround Sound, DTS, Dolby and S/PDIF audio formats. HDI is future-proof as it already supports Gbps of bandwidth. HDMI technology can easily adjust with applications without human intervention, and you can even control a home theatre using a single remote with one-touch play. 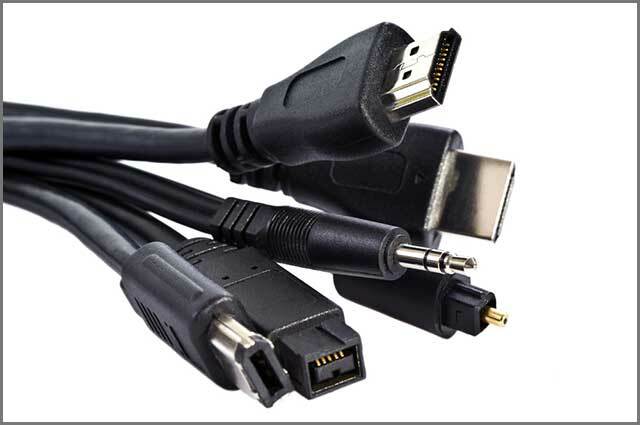 You may also find other types of AV cables like DVI cable which negates the conversion of analog signals and vice versa. Component video cable is another option which is better than S-video and composite video in terms of color purity, color detail, and less color noise. The optical digital audio cable is for audio only and transmits unprocessed signals to chosen destinations. What cable you need depends on your devices and its ports. Now let’s take a look at lightning digital AV cable. Apple users now have a way to hook up their devices on TVs and displays directly. You can connect your iPads and iPhones using the lighting digital AV cable with a connector. 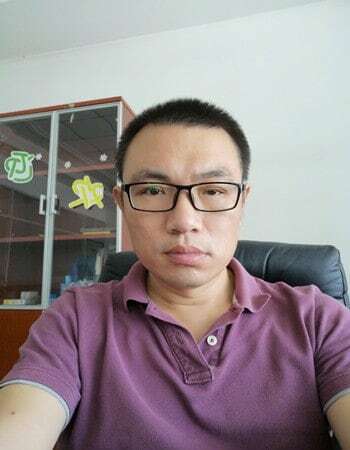 It is a simple way of connecting your iOS devices o TV by plugging the lightning connector located under the home button. You can also connect an HDMI port on the other side of the adapter to connect to your TV. The cable also features a second lightning adapter port to charge your device while you are watching the TV. The lightning digital cable can support videos of 1080p, and you even use to mirror apps from your iPad. You may find cheap aftermarket lightning digital cables, but they may not support all formats. Content from Netflix, Amazon, and Hulu may not be compatible, and you only have to depend on videos on your phone. 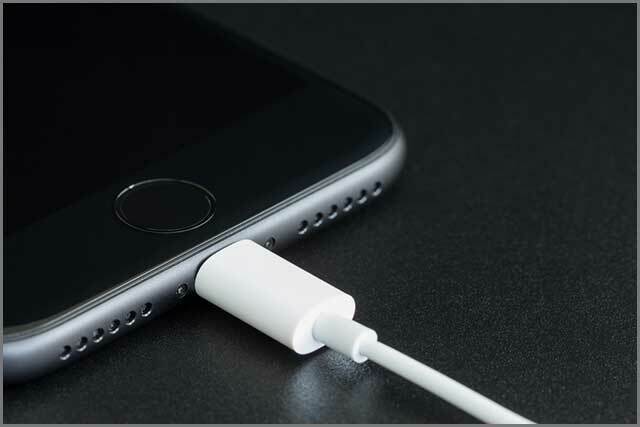 The best choice is to go for a lightning cable that has High-bandwidth Digital Content Protection (HDCP). Using lightning digital cable requires no additional setup, and you can get the job done quickly. It also supports HDMI TVs by using an HDMI cord. You also don’t need a WiFI like in the case of AirDrop and can transmit movies and videos without restrictions. That makes it useful when you are traveling abroad a train! The feature is not available yet for Mac computers. Now a little overview of AV extension cable. We look for extensor cords or spikes because the stock cables are not always adequate for covering long distances. Many AV installations require long runs in case of commercial or residential home purposes. What if you need to run a cable from the antenna on the roof to the TV in the living room? You may need an extension of audio or video cable, subwoofer cable or extend the length of the mono cable. 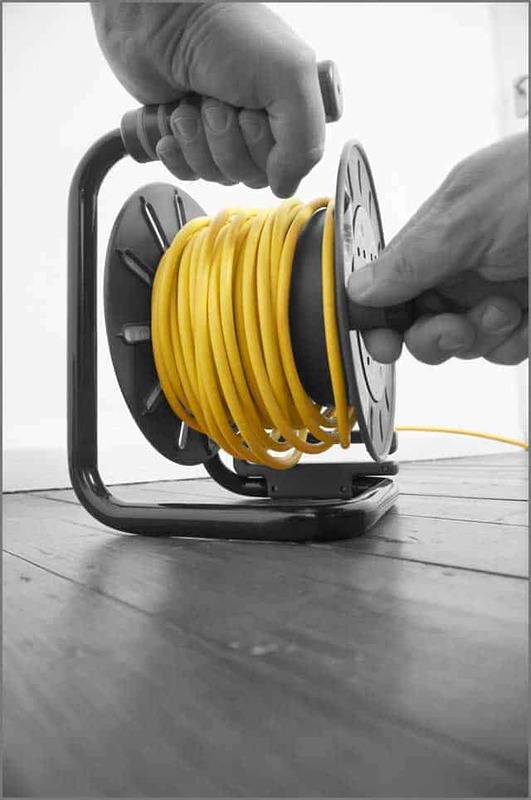 You can get expansion cables of varying lengths to suit your purpose. A company also manufactures fiber optic extension cables which high technology to deliver superior sound and picture quality. The cables are far better than copper counterparts delivering 4K content as far as 1,000 feet. The cables convert HDMI data into optical signals inside the extension cable using fiber optic HDMI connectors. The optical signals are then turned back to HDMI at your TV or projector. HDMI cable also supports different bandwidth. For example, HDMI 2.0 can support 18 Gbps instead of the earlier version of 10.2 Bps. To ensure the extension cable is compatible if you want to enjoy better signals. Make sure you check out the features of the extension cable to determine if it matches the HDMI options. You may also want to check out the male and female connections to create the relationship. Gold plated connectors are also ideal as they last a long time. Now let’s see what an AV out cable to HDMI is. Many old DVD sets, V or VCRs use the older AV cables or RCA connection. 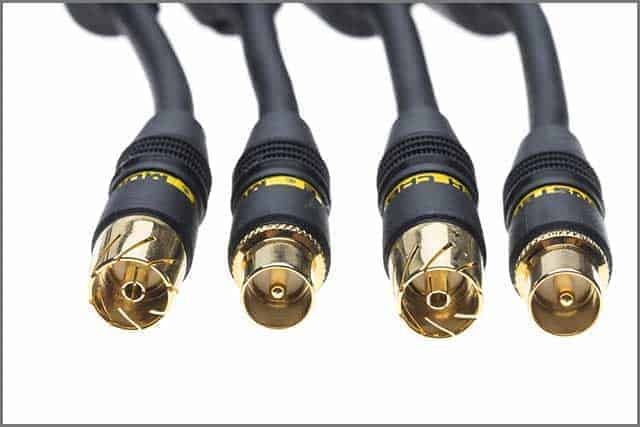 The coaxial cables transfer audio and video signals from a display source to a TV. They generally have a single output cable while two jacks for sound and video outputs. Byt modern TV sets use a different set of connections to especially for high-definition visuals. The new trend is using High Definition Media Interface (HDMI) cable that features a six-sided plug. To convert AV signals to HDMI, you will need a powerful adapter just like the first RF modulator that converts coaxial signals. You can purchase them at affordable prices in the market and online stores. Hook up the end of the AV composite cable to the video and audio output in your VC or TV. Now insert the other end of the rope into the video + audio connector in the adapter, unlike AV cables. HDMI cables can carry sound and video signals over a single cable. Take the HDMI cable and connect it to the HDMI port on the adapter and the other end in the TV HDMI connector. Now turn on the video source and enjoy the HDMI streaming on your TV. You can also use AV out to HDMI cable for set-top cable boxes and satellite TV. We will now explore the custom cable scenario in China. We manufacture a wide range of custom cables meeting your specifications with quick turnaround time. We guarantee the best wholesale price to let you enjoy higher profit margins without compromising quality. If you want to order a custom batch of cables for your needs, send us your wiring diagram to move the project forward. We can handle AV cable, USB cable, Battery cables and anything that has to do with wiring. We have discussed a wide range of AV cables, and you should have a basic idea about their application. If you need more help in deciding which wire is fit for your purpose, don’t hesitate to get in touch as quickly as possible. We can help you make an informed decision after knowing all the implications of the cables.